Today, quite often you can find homemade circular saws. The circular can be made by hand if the master has at least minimal metal working skills. 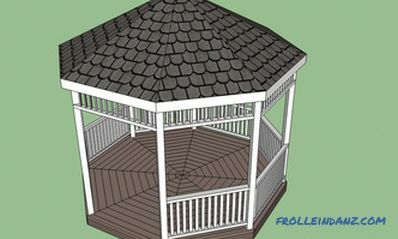 For the manufacture of the structure will also need some fixtures. All work must be done carefully. Figure 1. 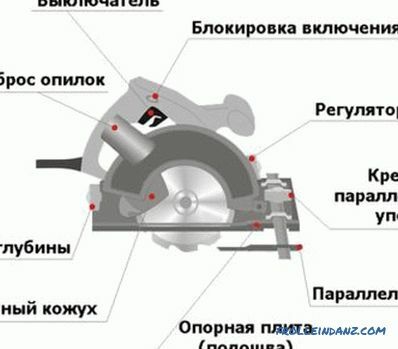 Diagram of a stationary circular saw. 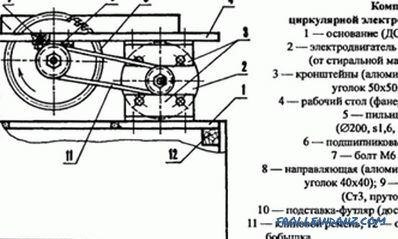 It is advisable to make such a device by yourself if any of the following materials are available: pieces of a corner made of steel, a rectangular shaped tube, engine or a Bulgarian. If there is no motor, it can be purchased on the construction market. A manual circular can be easily made with your own hands if there is a Bulgarian. It will be necessary to make the following simple fixtures: a stop for sliding and an axial handle. T-shaped anvil scheme for the circular saw. The sliding stop is made of several pieces of a small corner of metal, which are located on both sides of the work item. It is worth noting that the work item is a teeth disk, which is used instead of an abrasive wheel. The gap on each side should be about 3-4 mm. The horizontal edges of the corners will need to be rounded at the bottom so that they do not cling to the workpiece being cut. The corners will need to be cross-linked in the front and back. 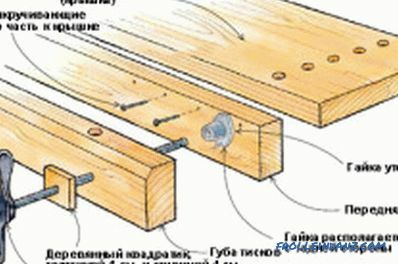 To do this, it is best to use bolts with nuts; the gap can be made by using a package of washers. You will need to wear a metal band clamp on the tool body. Screw tie strap should be placed at the bottom of the structure. It will be necessary to firmly fasten the folded strip of tin or galvanized steel with a hole for the rear stop bolt for sliding. The stop must be attached to the rear of the structure. The collar with a back persistent rack can make a uniform design, however thickness of a metal strip in that case should be about 1-1,5 mm. By moving the washers that provide the gap, it is possible to achieve the same gaps between the working element and the side portions of the stop. 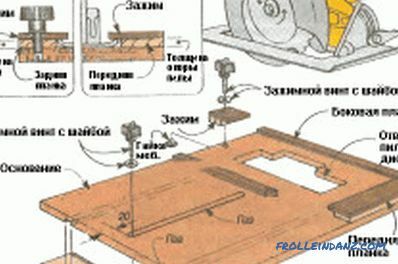 The assembly scheme of a home-made sawmill. 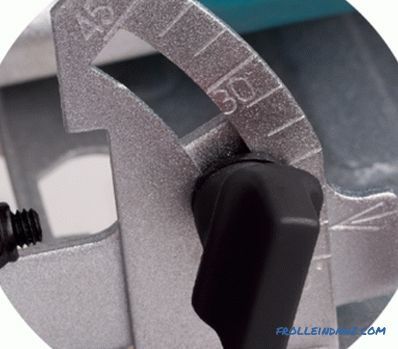 You will need to drill 2-4 threaded holes for small fasteners in the tool gear housing. The gearbox will first need to disassemble and identify the places where there is an opportunity to drill. Holes are designed to make it possible to fix a homemade axial handle. If the standard side handle of the grinder is used, then it will be quite difficult to produce an even cut even for a master with extensive experience. The axial handle is made of a pipe or rod in the shape of a horn, which is directed upwards. In this case, the transverse bracket of small width can also be used. The ends with which it will fasten to the gearbox do not need to spill. In these parts will need to drill holes for fasteners. If the mounting ends spill, the handle will bend from the efforts in the process. If the handle looks like a horn, then its distal part should be splashed in a horizontal plane and drill a hole in it for an axis of 4-5 mm with a margin. If the handle is a bracket, then in the holes that are located in the gearbox, you will need to install a piece of rod or tube sticking forward. 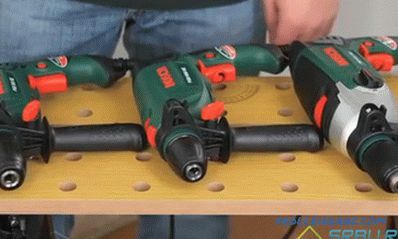 The end of the element you need to spill and drill a hole in it. There should be a small distance between the rod and the bracket - approximately 100 mm. Scheme of the adjustment bar. Next, you need to take a piece of rod from steel 4-5 mm, which will be used as an adjustment rod. One part of it needs to be bent in the form of a loop, slightly spill and drill a hole under the front stop bolt. Substituting washers on the front of the stop, you need to achieve a uniform width of the gap along the entire length of the structure. If a 6 mm bar is used, you will need to prepare several washers of a small thickness. At the back of the rod you need to cut the thread. The element will enter the hole in the handle. You need to first screw one nut on it, and upon completion of the assembly - the second one. It will be necessary to let go and in turn tighten the nuts so that it is possible to adjust the cutting depth. At this stage the manual circular will be ready to work. The manual circular can be easily transformed into a small desktop structure. To do this, you need to make a U-shaped base from a pipe or a rod of 15-20 mm and attach a lever. 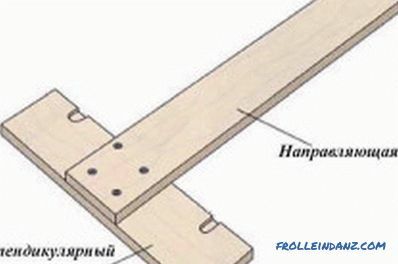 The lower part of the frame must be bent along the cutting direction to horizontal position, and then fixed to the table with self-tapping screws. 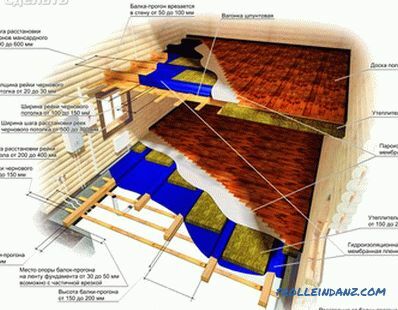 That the design was sustainable, you can optionally install slopes. You will need to put the rotating arm out of a T-shaped tube on the horizontal cross member. The transverse part of the element will need to be cut into two parts. After the construction is installed, the elements will need to be sealed with clamps. By the end of the vertical part of the yoke need to pull the hand saw, which was made. A similar design can be used as a cutting device, for which you need to install a standard cutting wheel in the grinder. However, in this case, the thickness of the cut will not exceed 70-80 mm, everything will depend on the diameter of the working element. In order to be able to process lumber of large thickness, you need a full circular saw. Circulars of this type can be made only in the case of a circuit design. The difference between stationary and desktop circular is the height of the bed. The scheme of construction of this type is shown in Fig. 1. The first element to be made is the table. 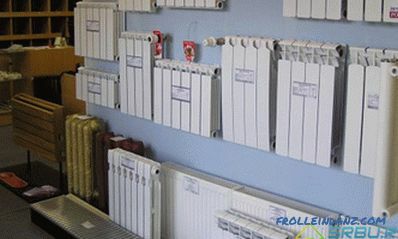 It is covered with tin or galvanized sheet. The tree will rub against wood or plastic, resulting in a small hole. In this case, to produce high-quality cut will not succeed. 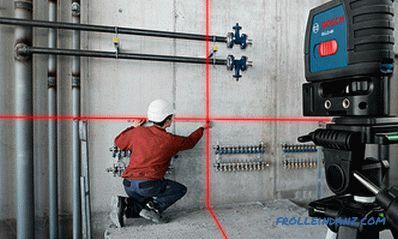 The cross joints of the table are made of metal angle 70-80 mm. 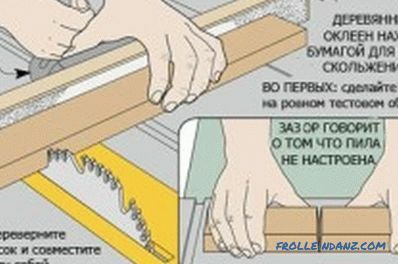 The working element should not protrude above the table base by more than 1/3 of the diameter - otherwise the saw will be dangerous. Therefore, if you need to cut a bar of 100 mm, the disc diameter should be 350 mm or more. To drive such a disc, a motor with a power of 1 kW or more is required. First of all, it will be necessary to match the power of the acquired engine with personal needs. For blanks of 150 mm and more, it is quite difficult to make a circular. A quality adjustable stop can be made from a piece of an angle of 70-80 mm, its length should be 350-400 mm more than the length of the table. One of the shelves will need to be cut on both sides so that the rest is equal to the length of the table. The backs need to bend down. In the lower shelves you will need to drill holes for the fastener threads. After that, you will need to put on the table support and fix it in the desired position with bolts. The emphasis is set on the template, which is laid between him and the tool disk. The most critical component is the shaft. It is recommended to use the finished item with a place to fit the disc. It can be purchased in the construction market. You will need to use ball bearings that are self-mounted. Axles with bearings should be with covers that can protect against sawdust. We recommend using a V-belt transmission. The engine will come from an old washing machine. Capacitors can be paper or oil paper. Other elements will not be able to withstand the reactive power that circulates in the chain. It is quite simple to make a circular yourself if you know the technology and have all the necessary elements in stock.